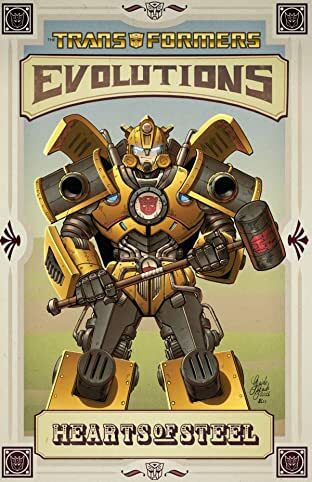 Ever wondered what form your favorite Transformers would take if they existed in different eras? 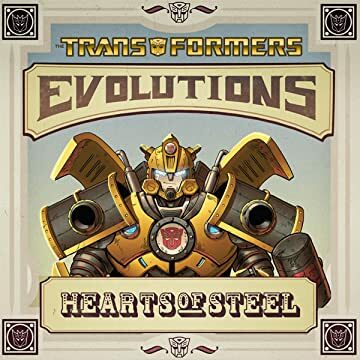 Wonder no more, as IDW's Evolutions line brings you "Hearts of Steel," writer Chuck Dixon and artists Guido Guidi transplant the 'bots to the Industrial Revolution, where a charismatic hammer-man named John Henry discovers that a steam drill is really an alien robot named Bumblebee. Before he can process this information, the pair is attacked by Decepticons disguised as tanks, trains and walking engines. Is this all part of a larger scheme by Starscream? And if so, will the other Autobots arrive in time to stop his nefarious plans?